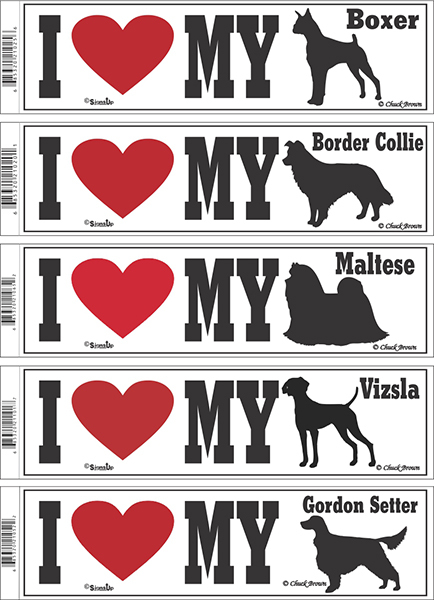 We feature over 110 breeds in our ‘I Love My” bumper sticker series. They are 3 inches by 11 inches with a 1/2 inch detachable bar code on the left side. They work perfect in our alphabetized counter top displays, while taking up little room. Dog silhouettes are the same as in our ‘Caution Series” Not all breeds are shown in this gallery.